Koko Black's Native Animals Gift Tin is a completely unique gift to give this season. 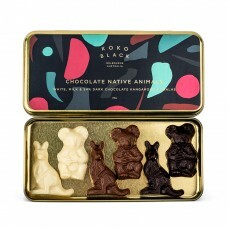 The beautifully decorated tin contains a selection of Kangaroo and Koala shapes, each in Milk, Dark and White Chocolate. A native animals fact sheet is also included. 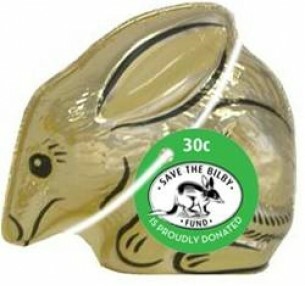 Ideal true Aussie gift for Easter. 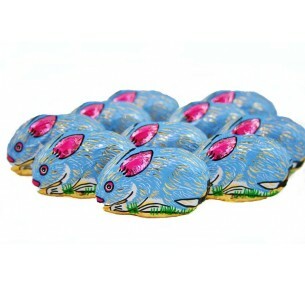 Gold Foiled Bilbies are made from superfine milk chocolate. 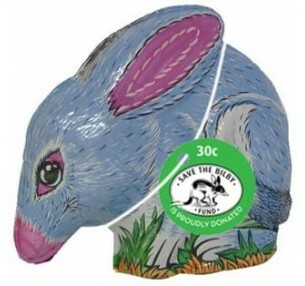 Sweet and petite, this super c..
​The good news is we currently have excellent stock holdings of the large Foiled Bilbies, which.. 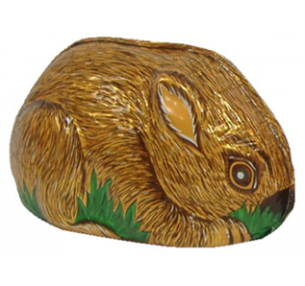 The friendly Foiled Wombat is made from smooth milk chocolate. For those wanting to suppor.. 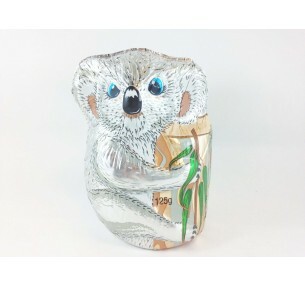 The super cute Foiled Koala is made from smooth milk chocolate. For those preferring..